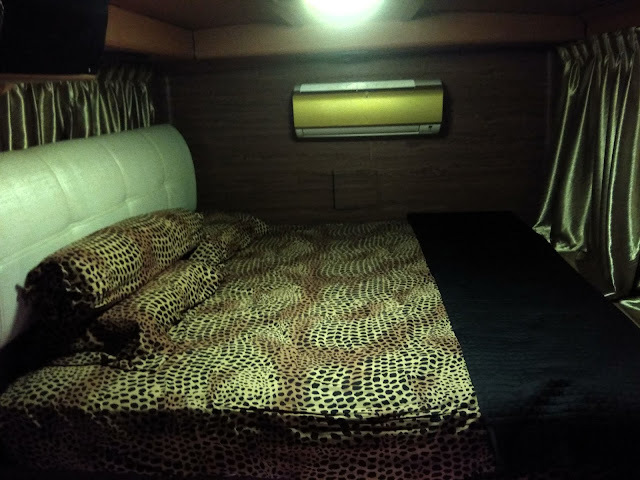 In the RV have a king-sized bed , bathroom , toilet , kitchen with electrical cooker and sofas . 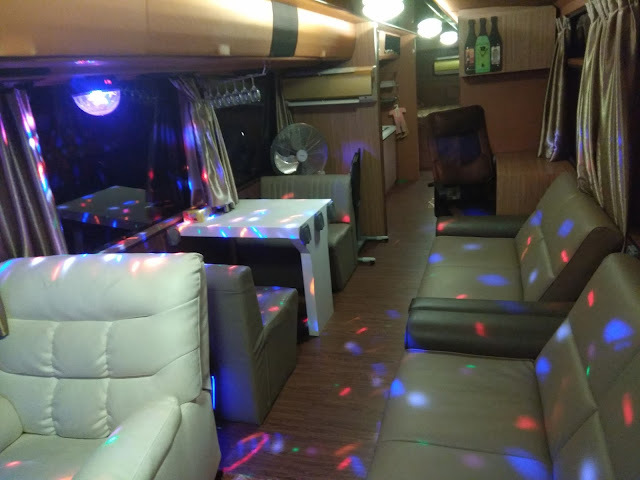 Including a karaoke set for the whole journey entertainment . 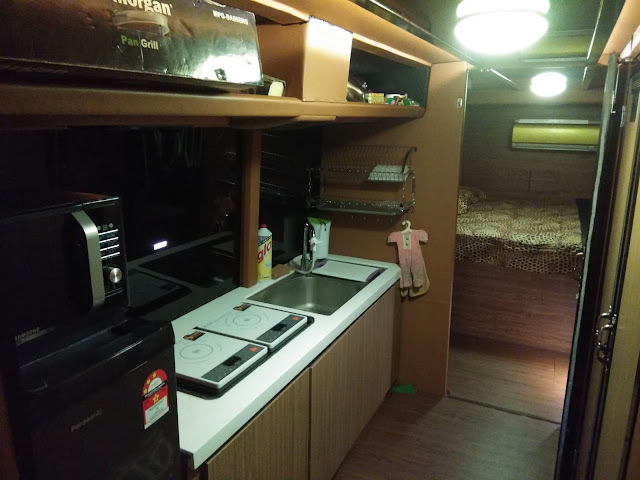 The RV weighs over 12,000kg and is 2.6m wide , 12m long and 3.6m tall . It can accommodate 12 people for a one-day excursion or eight people for overnight stay . 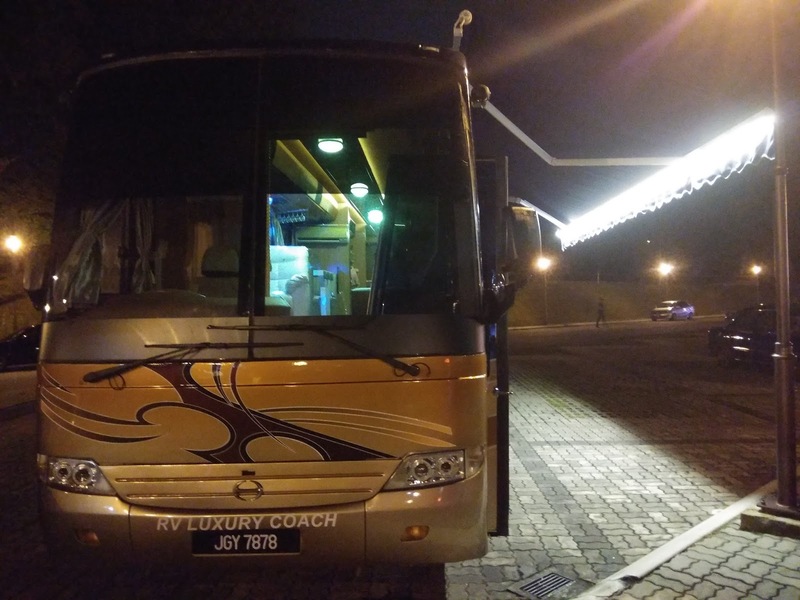 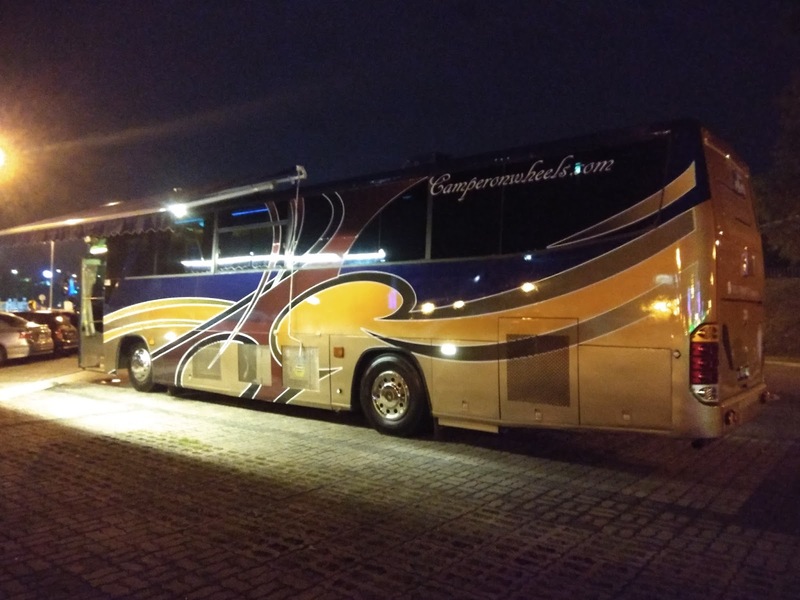 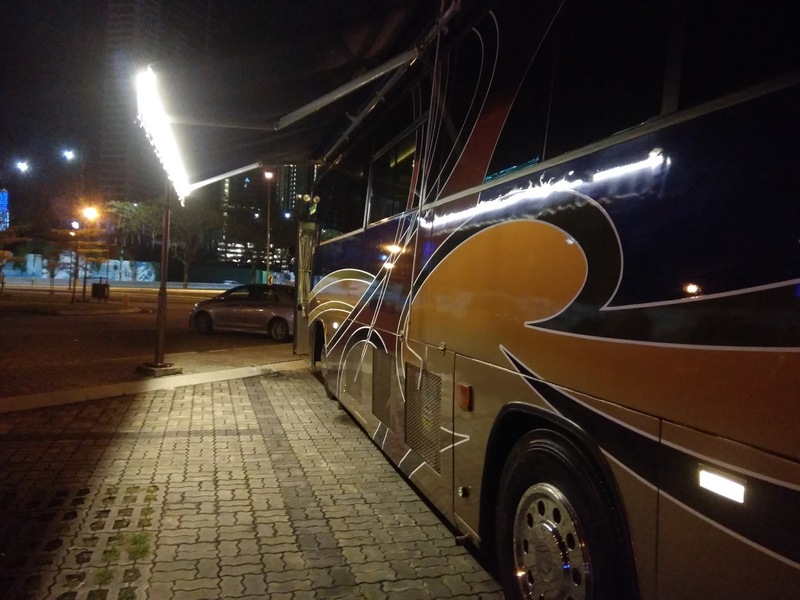 The rental rate with a starting price of RM2,500 per day , inclusive of personal driver, toll and parking fees and other facilities .